Illustrations: 12 color photos, 120 black-and-white illustrations. A print is a pictorial image that has been produced by a process that enables it to be multiplied, and many of the best-known works by some of the world's greatest artists are prints. Yet little is understood about this popular art form. Now Antony Griffiths provides an excellent introduction for anyone who wishes to acquire a basic understanding of prints and printmaking. In succinct and lucid language, he explains the different printmaking techniques and shows both details and whole prints to demonstrate the effects that can be achieved. Woodcuts, engraving, etching, mezzotint, and lithography are among the many processes explained, illustrated, and placed within a historical context. This fully revised and updated edition of the highly praised 1980 British publication is available for the first time in the United States. 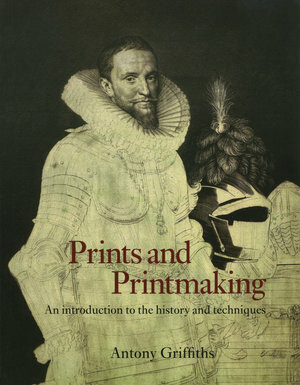 With its complete glossary, index, and helpful illustrations, Griffiths's book is the essential foundation for an intelligent appreciation of the printmaker's art. Antony Griffiths is Keeper of the Department of Prints and Drawings at the British Museum. He is the co-author of Avant-Garde British Printmaking, 1914-1960 and German Printmaking in the Age of Goethe. He is the editor of Landmarks in Print Collecting: Connoisseurs and Donors at the British Museum since 1753.